Hello, ladies! My name is Monica and this is my official blog. 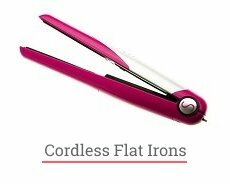 Here I’m writing about new styling tools, hair products, and the latest things in hairdressing. I was born in Dallas, Texas, and I’ve always loved making hairstyles for my mom, my two little sisters and all of my friends. As I grew up, I realized that my hobby could be turned into a career, and that’s how I became a hairstylist. I’ve worked at salons all over Texas such as The hair color salon in Spring, The Salons at Tuscan Square in Temple, the Black Orchid Salon in Austin, and many others. Now I’m back in my hometown working at the $ 100 Braids and Weaves salon. Now I’m working at the salon only 2 days a week, and the rest of the time I offer consultations for women who would like to look and feel better. Often times, these are middle-aged women who juggle raising kids, paying enough attention to the husband, doing housework and all these little things that nobody seems to notice. This leaves them no time to take a deep breath and ask themselves: Do I look like I want to? Do I really like this bun that is the only hairstyle I have time to make? Do I actually spend time on taking care of myself? When a woman has the courage to ask herself these questions, answers may be quite disappointing. To tell you the truth, they must be disappointing! Because every woman deserves to feel beautiful and happy, however busy she is. In my experience, women who took their chance to have a conversation with me, tend to do all their housework faster and, more importantly, with less effort. I don’t know why exactly does it work, but I believe that I’ve helped these women to make their life a little better. As they continue to improve their relationships with their mind and body, they learn to understand and appreciate themselves. My other clients are my agemates, mature women in their 50s who either have no family or lack attention from their children, spouses, and friends. They’re also steeped in everyday routine trying to do their best at work and at home, forgetting about their needs and desires. These women sometimes feel lonely and needless, that’s why they spend less and less time on themselves. I’m getting upset every time a new client reaches to me as she seems to have lost faith in herself and her beauty. But the truth is that every woman, regardless of her age, race, marital status, temper or mindset, can and should be beautiful. For me, beauty isn’t just one’s physical appearance, it’s something more. It’s confidence, it’s kindness, it’s love for every person and every creature living on Earth. However, I believe that beauty starts with the love for oneself and taking care of oneself. I also believe that I could help women to learn how to love themselves and feel their inner beauty. So, I believe that I could help you if you feel lonely and unwanted if you’ve lost interest in yourself and in relationships if you can’t get out of this vicious circle of work and domestic chores. Believe me, there is a better life for everyone, and you’re not an exception to this rule. I’m eager to help you become more confident and beautiful, and I could do that by teaching you how to take care of yourself. As I’m a hairstylist, I may start with hair care advice, but I believe that my professional background, as well as my personal experience, give me the better understanding of human psychology, so I’m trying to give a consultation primarily from this perspective. That’s why I’m not talking about coloring or keeping the hair volume. But I’m talking about loving yourself, being confident, feeling worthy and wanted. Every woman is beautiful and attractive, even though you don’t think so. I want you to believe in yourself and in your beauty. You will be surprised to see how attractive confidence and self-faith could be. There is a long journey to find your inner beauty and self-faith, but in the words of Confucius, “a journey of a thousand miles begins with a single step”. I’d like to be with you at the very beginning of this journey. If you’re interested in talking with me, you could reach me via Facebook or Skype – I will leave the links below. Feel free to ask everything that bothers you on my Facebook page, and if you need a full session dedicated to all the issues you want to discuss, we could connect via Skype. As I mentioned earlier, I still work at the salon as a hairstylist. That’s why I decided to start this blog in the first place. I’d like to share with you everything that I know about hair care. 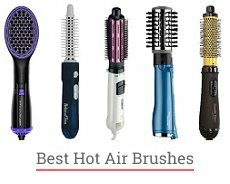 In this blog, I’m writing about new styling tools, hair styling techniques, useful tips and tricks, and so on. I’m glad to answer all of your questions, so feel free to ask anything you want to know about hair styling and leave your comments. I’m happy to see each one of you reading and discussing my posts, sharing your own experience, and thinking about taking care not only of your locks but also of yourself.